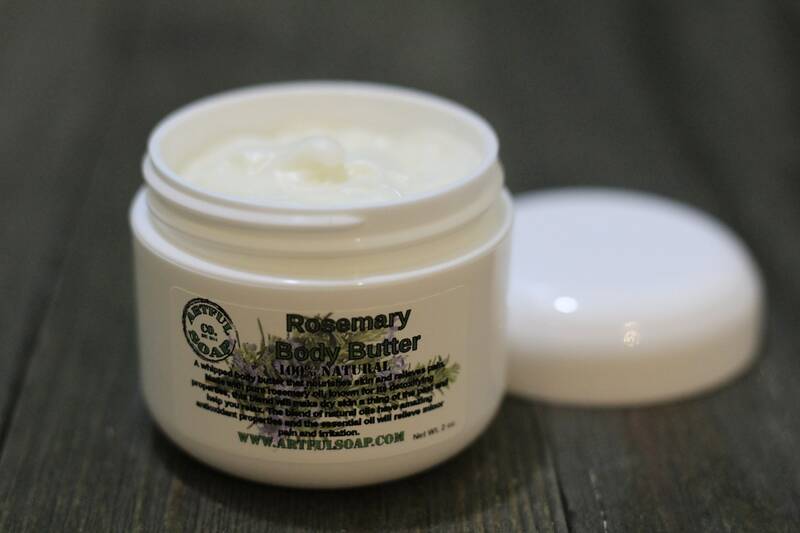 Our body butter is the answer to dry, cracked skin. 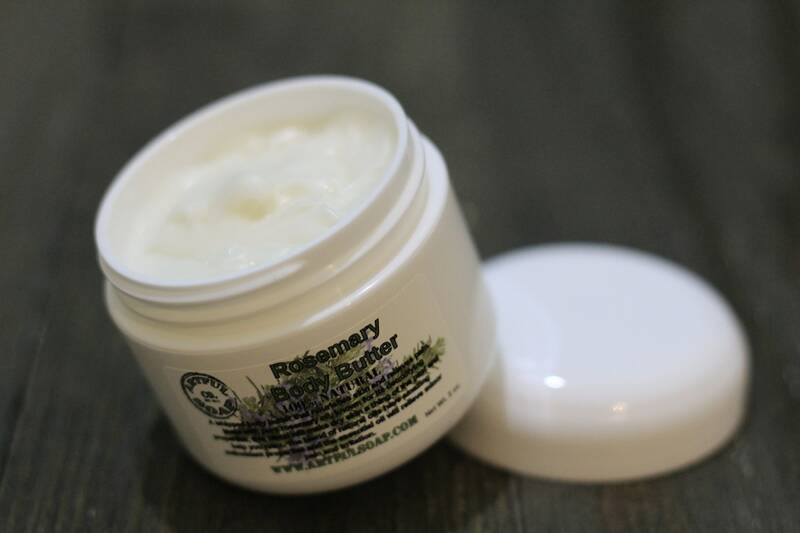 It nourishes deeply and has lasting moisturizing properties to ensure maximum healing. 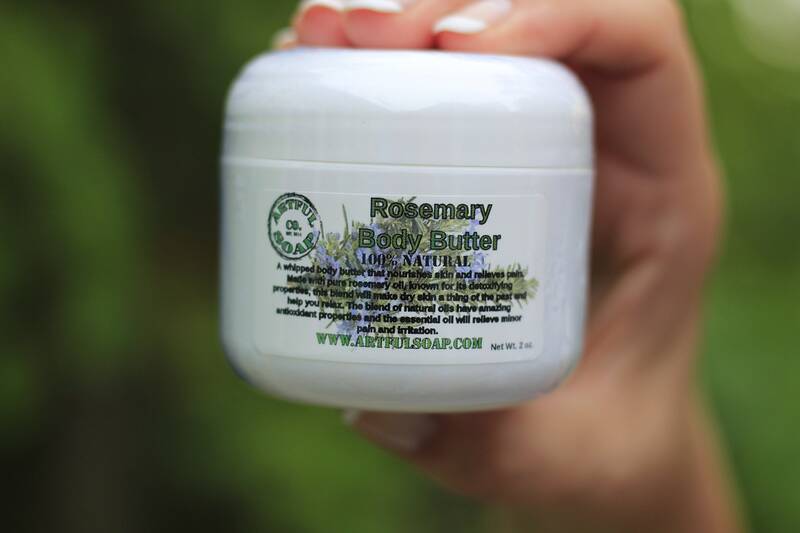 Infused with pure rosemary essential oil, this butter also adds all the benefits of rosemary! You don't need much of this oil rich balm, a little goes a long way. Rosemary increases the skin's elasticity therefore decreasing droopiness and age spots. Rosemary contains iron, calcium, and phytonutrients. 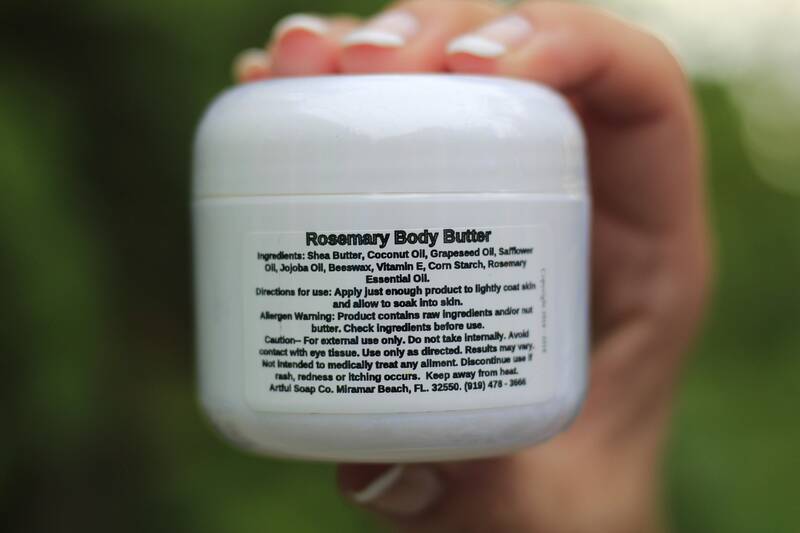 Over-exposure to sunlight is one of the leading causes of skin damage and rosemary is tough on sun damage. The nutrients of rosemary can help protect skin cells from damage often caused by the sun. Since rosemary has natural antiseptic properties, it's a superior disinfectant for our skin and hair. In fact, this essential oil is known to promote a healthy, moisturized scalp and reverse premature graying. Ingredients: Shea Butter, Coconut Oil, Grapeseed Oil, Safflower Oil, Jojoba Oil, Beeswax, Vitamin E, Corn Starch, Rosemary Essential Oil. 2 oz net wt.